For the past few days there have been many speculations about the forthcoming projects of Shah Rukh Khan. While the actor was supposed to kick off the Rakesh Sharma biopic tentatively titled Saare Jahaan Se Achha, soon there were reports that the superstar had quit the project. This was followed by rumours about Shah Rukh doing Don 3. 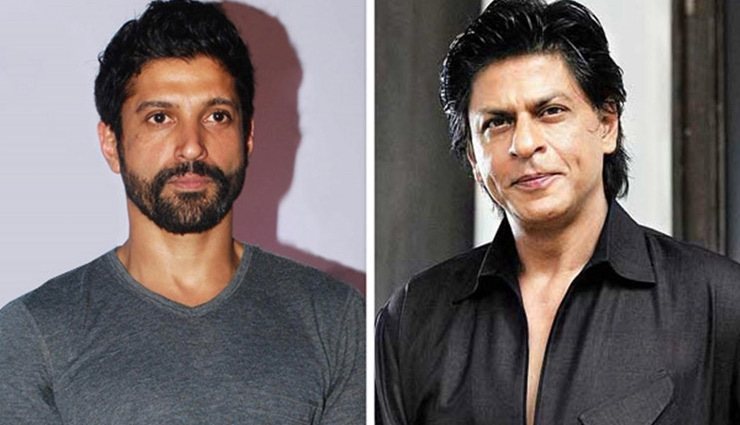 However, all fans, who have been waiting for this collaboration to happen, may not witness it soon as Farhan doesn’t seem to be too keen on taking this action franchise forward. Recent reports have it that Farhan Akhtar has apparently rubbished the rumours of Don 3 in the making. After Shah Rukh Khan walked out of the Rakesh Sharma biopic Saare Jahaan Se Achha, reports had claimed that the actor decided to take this step to dedicate his time to Don 3. However, it seems that Farhan had a different side to the story wherein he reportedly confirmed that he wouldn’t be directing Don 3 any time soon, mainly because he is busy with other projects. While he has just entered the South production zone with the successful Kannada film KGF starring superstar Yash, Farhan Akhtar is also busy with his acting projects. He is reuniting with his Milkha filmmaker Rakeysh Omprakash Mehra for Toofan, where he plays the role of a boxer. He will also be collaborating with his Don actress Priyanka Chopra on the big screen for The Sky Is Pink. As for Don, the franchise kicked off with the remake of the 70s Bollywood blockbuster by the same name that featured Amitabh Bachchan and Zeenat Aman in lead roles. While Shah Rukh played Don in the remake, Priyanka Chopra played the leading lady Roma and the duo reprised their roles in the part 2 too.